The iWavecube portable microwave ovens are unlike any other. It’s innovative, energy efficient microwave technology with a twist. 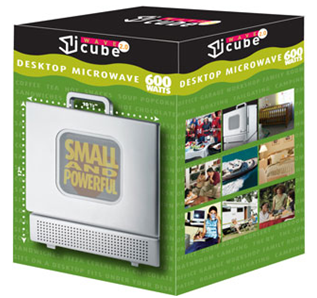 Only iWavecube brings you the world’s smallest microwave that you can take with you on vacation, work or the man cave. Whether you’re a college student enjoying dorm life or a salon owner looking to offer new services and conveniences, the iWavecube line of energy efficient microwaves and other small kitchen appliances are for you. iWavecube products outshine the competition in practicality, functionality and looks. While our products come second to none, it’s our customers that really make iWavecube what it is. Our creative customers are using the small microwave ovens in the most unique ways and providing us with even more ideas for the iWavecube line of compact kitchen appliances. As I've mentioned before, we live in an older (late 1800's) Colonial home. Though there are some charming characteristics to the house, there are also some thing's that I could definitely do without. First, the lack of closet space. Second, the teeny tiny kitchen. With old cupboards that present a challenge when it comes to storing anything with a width of more than 6 inches, and limited counter space we generally have to pick and choose which kitchen accesories are a must have, and which we can safely do without. We have (for a very long time), chosen to do without a microwave. Though we've managed to do this at most times without any issue, when it comes to making fun thing's like microwave popcorn on family movie night, or simply heating up a cup of soup.....it either doesn't happen or it turns into a HUGE production! With the stove, a pot, and other utensils involved (which generally equals more dishes for mom to do!) I have definitely been anxious to find an alternative to the average size microwave! 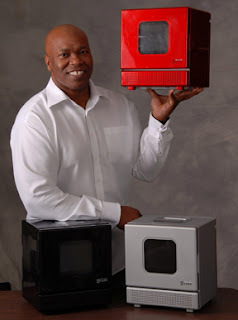 I recently happened upon a space efficient, energy efficient alternative ......the iWavecube! 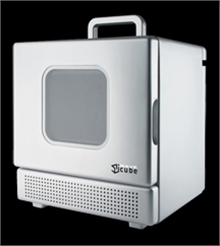 The iWavecube has solved previous issues and has given us back the convenience of a microwave without monopolizing all of our counter space. 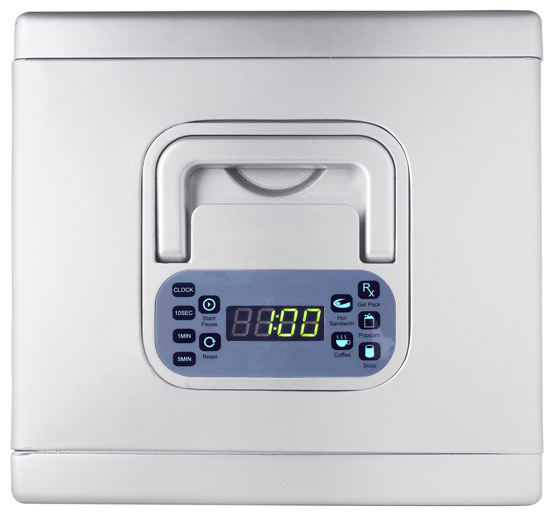 There are special settings on the control panel (located on the top of the iWavecube (pictured below) that allow us to easily pop popcorn, heat snacks, or warm drinks, with one simple push of a button! 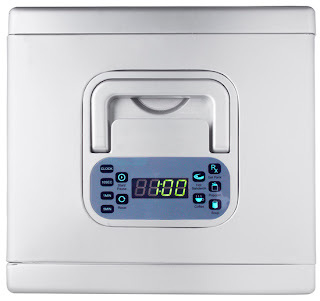 Whether you reside in a space challenged older home like our family, dwell in a city, are a college student, or simply need a small microwave for work.....The iWavecube is the perfect solution for small spaces! Leave a comment ~ Where are you excited to use the iWave Cube? Den? Dorm? Boat? Office? Entry to this giveaway ends at 12pm PST May 16, 2011. Winner's are chosen randomly through random.org. The winner will be announced in a post within 7 days of the giveaway ending, and contacted through email. The winner will have 48 hrs. to respond or another winner will be chosen. I am a public follower of your blog and I think this would be fun to take camping! we have access to an electrical outlet so it would be perfect! I would be excited to use the iWavecube in my office. My bedroom to make some coffee. I'm excited to use the iWave Cube in my office. And I'd love to use this in our camper! The microwave in it is a piece of junk! I'm entered in the Betty Crocker Give One giveaway.